Creso Pharma (ASX:CPH) this morning revealed that its Canadian subsidiary, Mernova Medicinal Inc., has smashed a major milestone — acceptance of its application for a cultivation license by Health Canada. 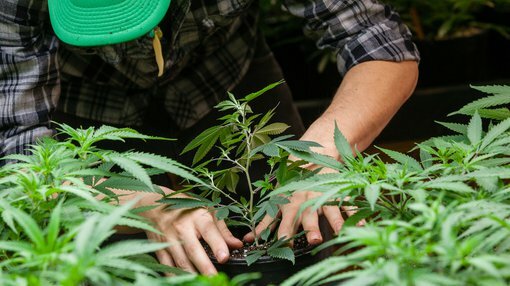 The successful application will transpire in a cultivation licence — one of the few to be issued to local companies in Nova Scotia. 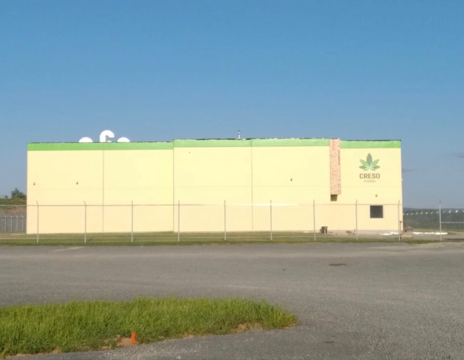 Once the cultivation licence is in its hands, Mernova will plant its first cannabis crop in the new 24,000 square foot (2,200 square metre) purpose-built, indoor growing facility based in Windsor, Nova Scotia. The first crop is expected to be planted at the end of 2018. Once two cannabis crops have been successfully grown, Mernova will then apply for a sale license — the final stage for producing commercial cannabis crops. Mernova expects first revenues from the sale of cannabis in Q1, 2019. On top of this, CPH has also inked a construction finance loan to fast-track development of the facility. The terms have been finalised on a loan with a face value of A$2.7 million from L1 Capital Global Opportunities Master Fund and the Canadian Special Opportunity Fund. The loan has a drawdown price of 90% of the face value — CPH will receive A$2.42 million in funding to finalise construction of the growing facility. With these two pivotal steps in place, CPH is now focused on fast-tracking production at its state-of-the-art growing facility to meet high and mounting demand for recreational and medicinal marijuana products. Canada is set to legalise recreational marijuana use on October 17, making it the second country in the world, and the first industrialised nation, to fully legalise the drug. This impending landmark, which has set many Canadian and US cannabis stocks ablaze, is also poised to create a flourishing industry extending beyond the already thriving medicinal cannabis market. Canada’s recreational cannabis market sits somewhere between CA$4.9 billion to $8.7 billion, according to Deloitte Canada. According to a recent report by CIBC analysts, once full legalisation kicks in, Canadian legal cannabis sales could reach CA$6.5 billion by 2020 — exceeding the CA$5.1 billion that Canadians spent on spirits in 2017 and coming close to the CA$7 billion spent on wine. In 2017, US$2.25 billion was raised across 206 cannabis companies in Canada. In the first quarter of 2018 alone, over US$1.35 billion was raised across 96 Canadian cannabis companies, reflecting significant forecasted growth and demand. Meanwhile, Canadian-listed cannabis companies that are similarly sized to CPH, with facilities of between 15,000 and 25,000 square feet, have an average market value of CA$64.95 million. CPH plans to expand the Mernova facility by a further 200,000 square feet, putting the company in an excellent position to emerge as one of Canada’s leading producers. CEO and co-founder, Dr. Miri Halperin Wernli, said that Creso is close to achieving one of its major strategic objectives — to supply consistent, high-quality medicinal cannabis products to its global markets. The licence has been accepted under the Access to Cannabis for Medical Purposes Regulations (ACMPR), and administered by Health Canada. The submission comprised comprehensive data, photos, videos and attestations by David Hyde & Associates Inc. — a renowned cannabis advisory firm which has consulted on 65 Licensed Producer (LP) sites and more than 300 LP applications, helping LPs navigate security and compliance in the highly regulated legalised cannabis space.